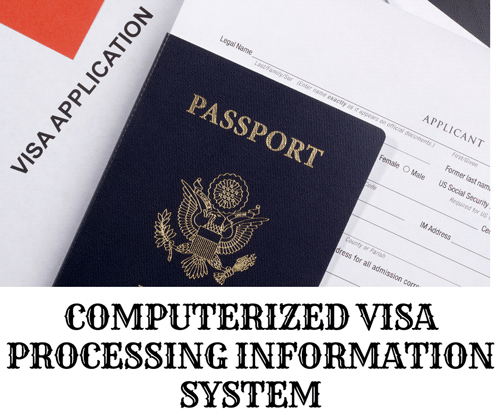 This project is aimed at improving a long lasting processing system on visa applications. It is also aimed at keeping records of all immigrants and for processing visa with view of modifying it into a full computerized system. The mint covers the areas of application entry, record verification, list generation, code numbering and maintenance of the managed information. The new system developed is very easy to use, and gives answers to report generation. Problems which evolved from the existing system as a result of inefficiency will be notified and new system design implemented. During the analysis, examination of written documents, oral interviews as well as textbooks, journal will be used for data collection and also a source of information. Also, it is expected that a program will be produced in order to help the Embassy service process and document visa. With references to the rapid growth in the information technology, it is deemed necessary to develop a fully computerized system for the processing of visa in any embassy through this project.